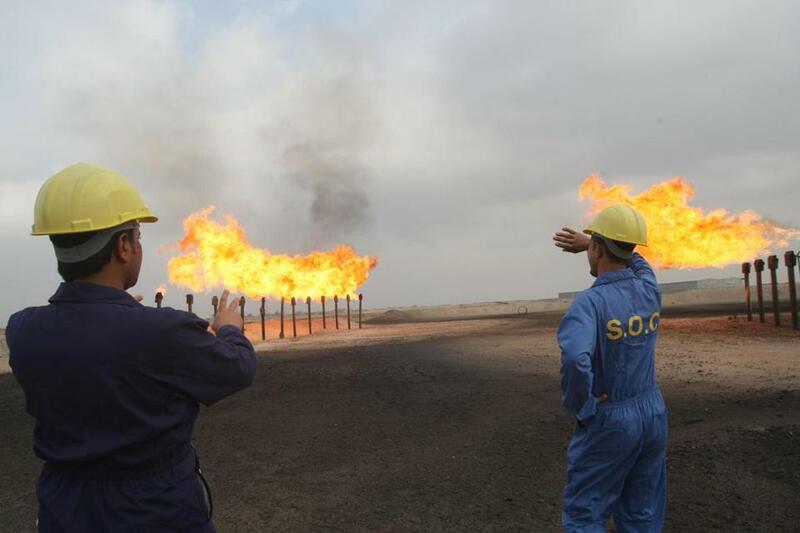 Workers looked over the Zubair oil field in southern Iraq in 2010. WASHINGTON -- Overshadowed by Donald Trump’s false assertions in his first days in office about inauguration crowd size, a highly controversial statement from the new president with greater importance received far less attention. Before a group of CIA employees on Saturday, Trump said the United States should have taken Iraq’s oil during its eight-year war there. Trump made similar statements during his winning presidential campiagn, including at a forum moderated by NBC’s Matt Lauer on September 7. Now that Trump occupies the Oval Office, his hint that the United States may have another opportunity to seize Iraq’s oil supply is raising fresh objections. In order to extract the oil, American forces would need to occupy the country, a costly, dangerous, and politically risky process, Pollack said. He added Iraqi resistance to these efforts would be quite strong given oil is a crucial source of income for the country. In response to Trump’s comments, Massachusetts Representative Seth Moulton, a former Marine, tweeted on Saturday, “No. That’s pillaging, and it’s a war crime.” Moulton could not be reached for comment Tuesday. Iraqi Prime Minister Haider al-Abadi said Tuesday that Iraq’s oil is the country’s constitutional property, adding that he was still unclear exactly what Trump meant by his comments, according to Reuters. On Monday, when asked to clarify the president’s comments, White House press secretary Sean Spicer said Trump wants to make sure American interests are protected as part of the country’s foreign policy strategy. “If we’re going in to a country for a cause, I think that he wants to make sure that America’s getting something out of it for the commitment and the sacrifice that we’re making,” he said. At the forum in September, however, Trump made a similar suggestion about taking Iraq’s oil, saying the U.S. would only need to leave “a certain group behind” to do it. Experts say the process of extracting and transporting oil is time-consuming and expensive. He added that there would be strategic concerns, given the illegal nature of the proposal. Experts also raised questions about the usefulness in seizing Iraq’s oil as a strategy for weakening ISIS. Most of Iraq’s oil is in the south of the country and controlled by Shia Muslims, who hate ISIS, a terrorist organization comprised of Sunni Muslims, said Robert McNally, the president of the Rapidan Group, an energy consulting firm in Bethesda, MD. “Nearly all the oil in Iraq is in areas where ISIS doesn’t exist,” he said.